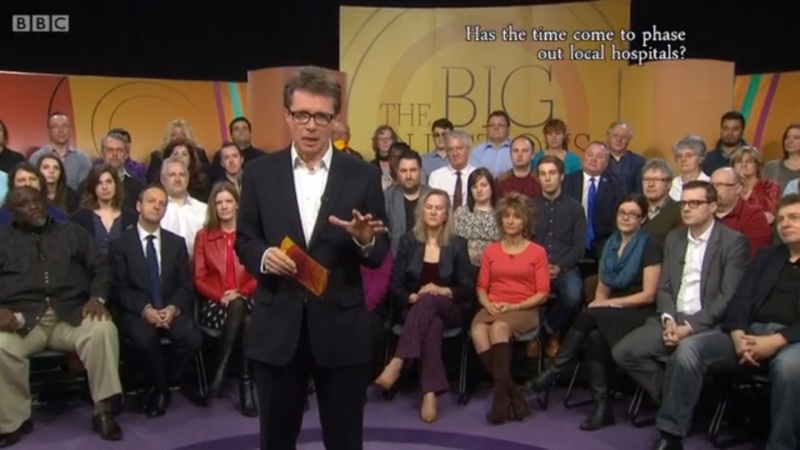 On Sunday 2nd March 2014, the BBC aired a debate on their The Big Question show, discussing the titular question. Hosted by Nicky Campbell, the main speakers were Professor Terence Stephenson (paediatric consultant and Chair, Academy of Medical Royal Colleges) and Julia Manning (optometrist and chief executive of independent think tank 2020 Healthcare) who advocated the necessity of moving away from reliance of local hospitals, and Dr. Clive Peedell (consultant oncologist and co-leader of the National Health Action Party) and Caroline Molloy (Editor, Our NHS and Open Democracy) who opposed the current direction of reducing NHS services. 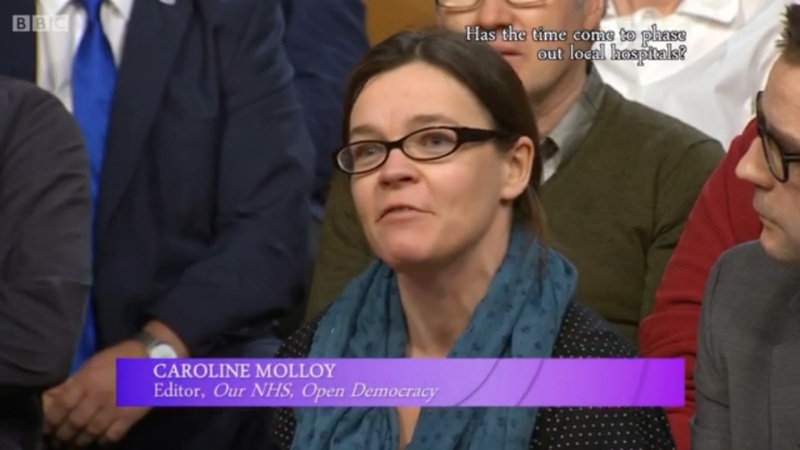 The 20-minute debate was rich with some excellent points for consideration and I analyse and discuss some of the key aspects in a separate post, Ivory Towers and Ambulance Fairies: Examining the Big Question Debate on Hospital Closure, but for now I thought it may be useful to share the full transcription. Nicky Campbell: Now, on Monday week, parliament will be asked to vote on whether the Secretary of State for Health should have the power to close hospitals in England even if the staff and local communities are opposed to it. It's a matter of keen interest here in Peterborough where the local hospital is in deep financial trouble. Has the time come to phase out local hospitals? Welcome to Professor Terence Stephenson, chairman of the Academy of Medical Royal Colleges. It's great to have you here. How on earth is phasing out local hospitals putting patients first? 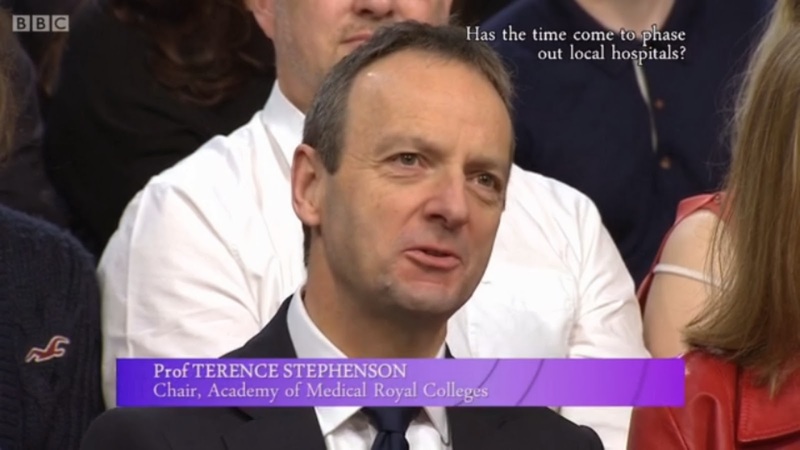 Professor Terence Stephenson: It's always couched as 'hospital closure' but it's hardly ever that. What the people in this audience want is the right treatment, in the right place, at the right time. I've spent the last week, from dawn to dusk, looking after emergencies and what's preventing doctors like me giving people like this the best quality care they can is the fact that we're trying to run 20th-century hospitals in 21st-century medicine. TS: Expertise. You know that if you have a MFI flat-pack, you build a couple of them a year, they don't fit together, the draws don't come out. If you're doing seven- ten-a-day, you get very good at it. NC: We're not talking furniture, we're talking people. TS: Everybody... same principle. The more you do, the better you get. That's common sense. NC: So for some people, there will be a longer journey. TS: For some people it will be a thirty minute journey. NC: Does this make sense, Clive Peedell? 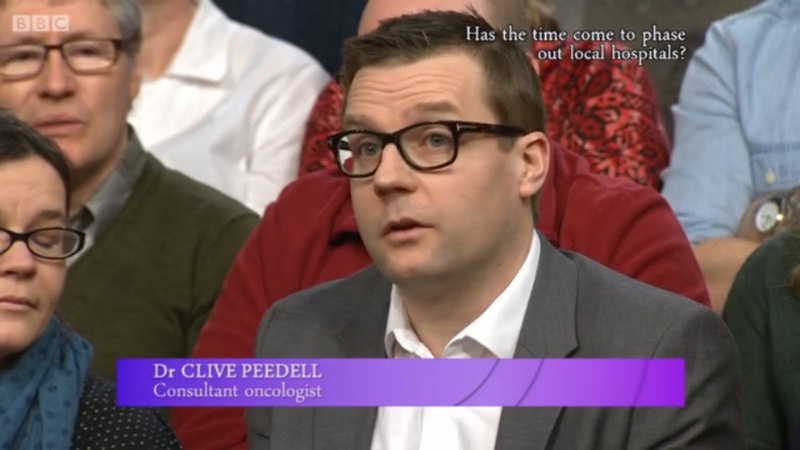 Dr. Clive Peedell: Well I think you've timed this debate very well because only in the last week in the BMJ - the British Medical Journal - there was a publication that showed that actually the number of hospitals we have compared to other countries in the OECD [Organisation for Economic Co-operation and Development] is extremely low. 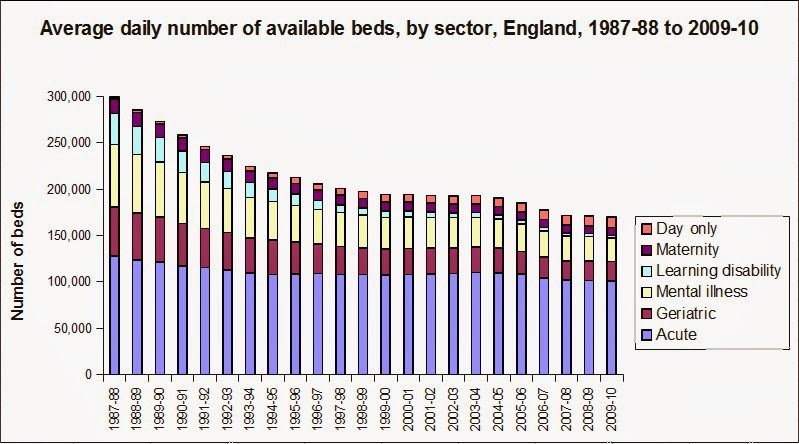 So we've got too few hospitals already in this country, we've already seen the number of beds cut from 300,000 to just under 150,000 in the last twenty years. NC: So this could be dangerous? NC: And build hospitals: more hospitals, more beds? CP: ~so it's damaging the health of the population and we're decreasing the number of services which is going to lead to increasing privatisation and medical insurance which we're going towards. It's outrageous. NC: Julia Manning, this is 'outrageous', but you believe that keeping local hospitals open, they're not safe, don't you? NC: They only fit the needs of the population if they have to travel further to visit their relatives in hospital and the relatives know that they might not be getting visits as frequently. You know, that's got to be bad for anyone who's recovering in hospital - and that might be a consequence of this. NC: So do you think this is circumventing local democracy? CM: Absolutely, it explicitly allows no more than 40 days. I mean, as someone who has campaigned against hospital privatisation, 40 days is no time to mobilise and save your local hospital. NC: Let's look at the evidence in a second. I want to hear from people in the audience. Okay, I'll do that in a second, let's look at the evidence. These big centres of excellence - is there concrete, statistical evidence that they save lives? Julia Manning? NC: ~and lives have been saved? ~We must remember the bigger picture. We have a £30bn funding gap in the next 8 years, that's just for keeping services as they are. Where do we get that money from? We either take it from other services - education? Do we really want to do that? From our communities? 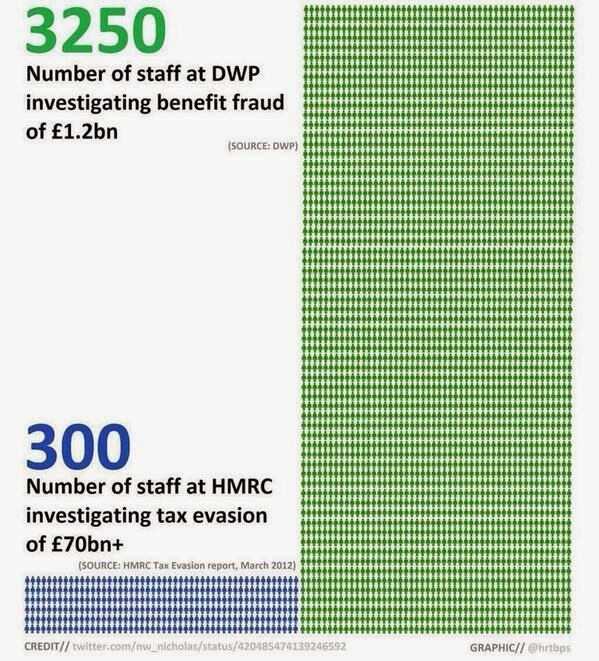 Or we raise taxes, but to raise taxes to raise that money, you're looking at on the average salary and extra £100 tax a month. NC: I'm sorry, they were set in sunnier times so they came back at a rate of interest they'd never be paying back if they were set now. CP: Absolutely. Look, Julia's right about specialist centres, but we need both. You need your specialist centres and you need your smaller hospitals as well. I'm a cancer specialist, I work in a specialist hospital, but I also do peripheral clinics in my local hospitals so I can deliver a radiotherapy service to the wider community. But you can't afford to have the equipment in every hospital, it's extremely costly and you need a lot of expertise so you need both. Actually, we need more funding of the health service. People are saying, 'Well where are you going to get it from?' We're wasting billions of pounds on a healthcare market. We've got this purchaser-provider split with GPs buying care off hospitals, we've got a market: patients becoming 'consumers' of healthcare. That just drives up costs. It's wasting £10bn a year. NC: ~Professor Stephenson... [to audience] Get your hands ready, I'll be coming round the audience, I know this a live and important issue locally... Professor Stephenson, clamping down on tax avoidance? Is that ever going to be enough to pay for what we need in the future, going ahead with this aging population. NC: They have far higher tax rates. NC: Okay. Yes, you sir - can we get the microphone down. A very good morning. A quick point so we get through the audience. Audience Member #1: I think we have to see this economy as a whole, because already the public-private partnership, this privatisation of hospitals is going on. We have to see that there's an argument here that there is no money here, there's a funding gap. I mean, there is money in the economy here. Just take an example of all big banks which are taking bail-outs from the government. Just last year, Royal Bank of Scotland -RBS - had £146bn in their profit and £9bn they paid out in bonuses of their executives. That's what's going on in this economy. Why can't this money be thrown into health services to fund hospitals? Audience Member #2: ~to the Professor here, if you were really ill and if I had cancer, we've got a great new district hospital in Peterborough, it's in financial problems mainly because of Labour's failed Private Finance Initiative, but if you had cancer in this part of the world, you'd want to go to Addenbrooke's in Cambridge which is a teaching hospital. NC: Is that... well... we'll ask the professor about that in a second. Moving along, you sir? NC: ~Because of the situation in Lewisham. AM#3: Yeah, in the wake of the Lewisham decision where he was deemed to have acted beyond his powers. But what we're seeing with the closures, a lot of the closures are things like Acccident & Emergency services, now just to give an example of the consequence of that: in Chase Farm, a hospital in London, they closed the Accident & Emergency service there. Weeks later, a mother rushed her young child over to Chase Farm, not realising the Accident & Emergency service had closed and as a consequence of that had to rush around and try to find another hospital, which was the increased travel distance, and there was a very tragic incident where that child very, very sadly died. NC: Okay, just to put that point, is that a Trade Union badge by the way? NC: So this is something you would know about. We don't know the individual situation there Julia Manning, but are these inevitable consequences of closures? NC: But are stories like that the inevitable consequence? JM: That is a failure of publicity and telling the public what's going on with their health services and this is why this debate is so important becasue the public need to realise, not only do we have a £30bn funding gap over the next 8 years, that doesn't take into account the rising incidences of diabetes, of dementia, of sight loss. We've got to fund that as well. We cannot go on funding so many buildings and pouring money into them, we need to put the money into people and into services. And it is not about closure, it is about transferring and changing. CM: We are continually told our suspicions are wrong. We were told here in Peterborough that the Private Finance Initiative scheme wasn't unaffordable and that was conspiracy talk and then we're told a few years later that it was an absolute catastrophe and that the only answer is to sell it off and privatise it. I think our fears are grounded and they need to be heard. Where I live there is a district hospital that people have fought very hard to save, we're now being told those service, it's not the best place, you know the kind of points you're making and that we'll have community-based care in much the same way that we were told 20 years ago about mental healthcare and care in the community. Those services simply aren't there. 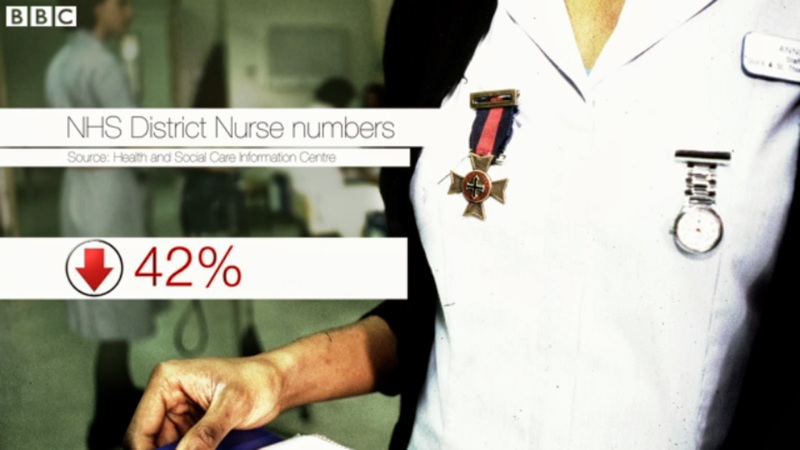 District nurses numbers - who are supposed to be picking up the pieces when all these little hospitals close down - and it is about closure Julia, we've lost many... we're losing a lot of beds at the moment - and these district nurses who are supposed to be picking up the pieces, their figures have declined 40% in the last 10 years. CM: In London, they trained five district nurses only in the last year and this is supposedly the big new hope. JM: So why are we not looking fundamentally at the way that - not just the way that the public use services - but the way we plan them, the way we train staff. We need to make it fit for the next generation, so that my daughter has got the certainty of being able to have her children on the NHS in a place which is safe and secure, where she's going to get the best possible outcomes. That's not going to happen if we don't fundamentally change the way we deliver the majority of services. CP: You've got to fund it. NC: Is there evidence? [to Clive Peedell] You said there was evidence that people are dying because of closures. CP: There is evidence from Newark hospital. The A&E closed a couple of years ago - it's subject to an ongoing investigation - but the mortality rate of people within that region, emergency admissions, has gone up by about 30%. Now that needs to be looked at to confirm, but that's just an example - because people are having to travel much further. The ambulance time, the ambulance journeys are going a lot on... Julia, we fundamentally agree about a lot of things, but it has to come with the funding and this government has a clear agenda to cut the amount of spending right across the board - not just for health services, but right across the board. JM: That's because we don't have the money. CP: So privatisation is inevitable. A mixed funding system: so health insurance is coming our way and I'm so angry about this I've actually co-founded a political party - the National Health Action Party. NC: Who are you standing against? And the people of Witney will have the opportunity to keep the NHS if they want to, because if we carry on the way we are, we're going to lose our National Health Service. NC: Professor Stephenson... we've debated the privatisation issue before, right here on The Big Questions. Professor Stephenson, this leads us to the conclusion that we've heard from Clive: we're losing out National Health Service. Are we? TS: No, it's not about privatisation, nor is it about hospital closure. Peterborough is a city with 184,000 people, it's about 39 miles from Cambridge, it's not much further from Leicester, two huge centres. If you have a condition that can be treated at home, the best place for it to be treated is at home. If you have a condition that allows you to be treated in Peterborough, sure - best to stay in Peterborough. If you have something complex that needs more technical expertise, better you go [to] some centre where they do lots of it. It's not either/or and it's feeding the public... it's misleading the public - there's hardly any example in the country where hospitals close and there's nothing. They move to a service where you have immediate, urgent care and if you're seen in a category that needs help, paramedics transfer you to somewhere that can deliver you that care. NC: No, MPs aren't going to stand up for their constituents and say 'close our local hospital'. CP: That's dangerous. When someone presents with an illness, you don't know how ill they are until they've been assessed. If someone comes in with a headache, it could be meningitis, it could just be a migraine. NC: Wait, wait, wait. Clive, wait. Professor? CP: The National Health Action Party has got a 12-point plan. Go and look at it. It's a publicly-funded, publicly-provided and publicly-accountable system. Which will be funded. NC: Rather than your 12-point plan, which we'll be reading about - and I'm sure David Cameron will be going over it with a fine-tooth comb. CP: You need to plan the system, Nicky. NC: Caroline? We'll be starting with medical centres and big centres of expertise, wouldn't we? NC: That's an example of promises that didn't materialise. CM: And it's happened so many times. JM: That was not to do with technology. NC: Last word from the audience. Terence, I'll give you the last word in a second. If I may call you Terence rather than Professor. NC: Yes, a quick comment if you would. That's you. AM#4: If I couldn't get to hospital, if I had an anaphylactic shock now and my next hospital was too far away, I wouldn't survive and that's the reality. NC: Ruth. Ruth's situation - she might not be here today in our audience. This is the final word. TS: Final word? Well, I've worked in the NHS all my life. I've never seen a private patient, despite being frequently asked becasue of my expertise. You see, I believe... I believe in the NHS, free at the point of delivery. What I'm asking for is an NHS that can deliver 21st century care comparable to other countries. [addressing Ruth] And for you: three minutes, you want the paramedics to come to your home and if you're that ill, get there within three minutes. Don't be relying on getting somewhere else. The modern world is that the medicine comes to you, triage, and takes you to the facility that can best deliver the high quality care that will hopefully get you to survive and go home. NC: Thank you all very much indeed. Thank you.